If we compare the fashion of today with earlier, we find vast differences. Even, in fashion lot of things have changed and new trends have emerged. But fashion is frequently changing the women of today’s era have started to follow every latest fashion trends. When it comes to looking attractive and striking, the eyebrows always attributes to sharp and stunning brow line. 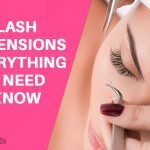 If you want to grow dense and long eyebrows, you have to know the best ways to regain your thick beautiful eyebrows. 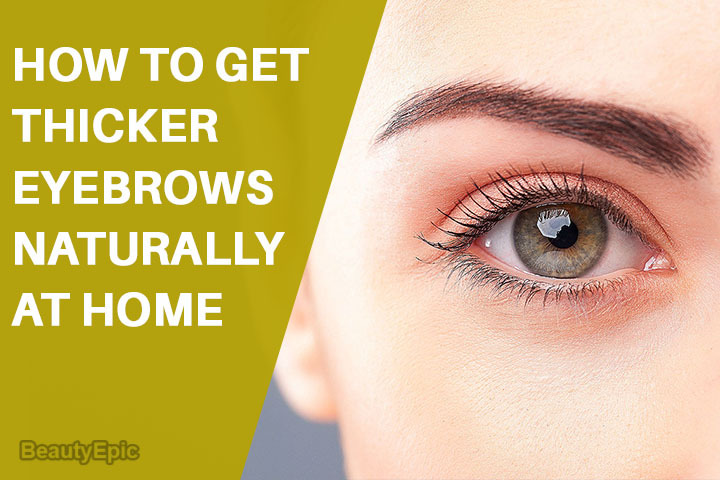 Let us read to know how to get thicker eyebrows naturally at home. One of the reasons for the loss of your eyebrows is by dyeing them continually. Remember that coloring the eyebrows kills hair follicles, hair and lose their ability to grow. Other reasons losing hairs from eyebrows is taking poor diet. Just like our hair, eyebrows hairs also suffer from lack of nutrients. To get good and strong brows on your eyes, large amounts of protein in the diet should be present such as vitamins A, B, E and minerals. To make your eyebrows beautiful, thick and healthy it’s necessary to consume healthy diet every day in your food. You need to keep a lot of patience, because the eyebrows do not grow in a few days. It exactly depends on several factors such as maintenance and condition of the hair follicles. For the better growth of eyebrows you must consume rich amounts of proteins such as meat, fish, eggs, cheese. Make sure the foods you are eating should be rich in vitamin complexes or separately vitamins A and E in capsules. You must keep away from the fast food and mono-diet; this diet can provide negative impact on health. Castor oil contains protein, vitamins, fatty acids and antioxidants that helps to nourish the hair follicles and also promotes eyebrows hair growth. Note: If you are allergic to castor oil stop using this method, it may cause irritation or burning. Coconut oil is rich in lauric acid, proteins and nutrients which supports healthy hair growth of eyebrows. It is one of the best natural remedy used for growing eyebrows thick and dark. Repetitions: Repeat this process daily for 1 to 2 months you’ll notice changes in your eyebrows. Olive oil is a relatively good source of vitamin E and allow the eyebrows grow faster and thicker. Repetitions: Follow this method once in a day until you get the desired results. Aloe vera is a miracle plant it contains 75 nutrients which helps to make your eyebrows grow faster and thicker. Jojoba oil rich in Vitamins A, B1, B2, B6, and E that nourish hair roots and helps to make your eyebrows thick. Repetitions: Do this regularly for few weeks. Wait for 10 to 15 minutes and then rinse it off with warm water. Repetitions: Follow this remedy once daily. Repetitions: Repeat this process once daily for few weeks. Fenugreek seeds are rich in vitamins and minerals which helps in moisturizing the hair and also have high protein and nicotinic acid which are beneficial for grow thick eyebrows. Repetitions: Repeat this remedy twice a week. Eggs are a very good source of high quality protein. Egg whites are rich sources of selenium, vitamins like B2, D, B6, B12 and minerals such as zinc, iron and copper. It can helps to make your eyebrows thick. Repetitions: Repeat this method once or twice a week. Onions have high in organic sulfur compounds that helps to strengthens the hair follicles. Repetitions: Follow this remedy once a day for few weeks. Repetitions: Follow this process daily for few weeks. Repetitions: Repeat the above process daily until you get the desired results. The key is to remove makeup every night before sleeping. When we remove the mascara, lipstick, eye shadow and foundation, some cosmetics can react badly on your eyebrows. Some cosmetics cannot be cleaned overnight. To maintain your eyebrows you need to massage by combing eyebrows often. It is better to comb eyebrows with special type of comb and do it for 1-2 minutes, also slightly massage your eyebrows. Doing this daily helps to improve blood flow to the hair roots of hairs and stimulate growth. 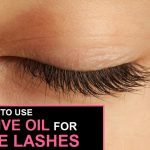 For better growth of eyebrows use natural oils such as burdock, castor, almond and peach, then apply these oils for massage to help eyebrows grow within one to two weeks. Massage is very simple and just takes a few drop of oil that needs to rub into the skin, where the hair grows up. After massaging your eyebrows you need to leave the oil for a few minutes just to help in growing eyebrows and then clean with a napkin or cotton pad. If you want to get thick and beautiful eyebrows, then forget tweezers. According to the modern stylists, tweezers are better left unused. You need to carefully take care of hair growing in the eyebrow area. It is also important to see a cosmetologist to get proper treatment of hair in your eyebrows. Most pharmacies and cosmetics stores offer special types of serums and conditioners for hair that help to speed up the growth of eyebrows. All those products contain more vitamins, minerals and organic substances which help to promote and nurture hair growth. It is necessary to pay extra attention to the instructions or how to use the cosmetic products. Take 1 tsp chamomile flowers or dried mint leaves, and then pour a glass of boiling water, which should be tightly covered. Keep it for 15-20 minutes. Apply that combination on the eyebrows using sterile cotton pads and wait for 10-15 minutes. Mixture of these herbs gives you a positive effect on the state of the hair and it helps to improve their growth. If you want to improve the growth of eyebrows, you should apply the mask of hot peppers. This mask is used to develop hair growth on the head. You can find the pepper tincture at the pharmacy. Take 1 tsp pepper tincture; add 1 tsp water, mix and apply with cotton. Apply gauze to the eyebrows, leave for 15 minutes. During the process, be careful not to hit the part of the eye. Repeat this mask 2-3 times a week. Often you are not satisfied with your eyebrows and that happens because of careless plucking, tattooing or unsuccessful campaign to the cosmetician-layman. The experienced stylists recommend that you take care of your eyebrows with lots of patience. When growing eyebrows do not rush! You should focus on vitamins and nutrition, and the result is sure to be visible. Do not try to adjust the shape of eyebrows at the time, when you get them to grow. First, it is essential to determine its natural form, and then shape your eyebrows according to your taste. The main reasons for poor growth of eyebrows are improper care, not providing enough nutrients and vitamins to the hair follicles and consumption of harmful chemicals that come from smoking and alcohol. 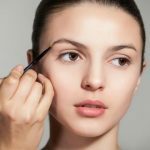 Avoiding these factors and following the tips will definitely help enhance the growth of your eyebrows.